Key Difference: Anarchy refers to the state of a society without any government or authority; it sometimes also refers the state of chaos that can occur in the absence of controlling authority, whereas monarchy defines the government in which political power is exercised by a king or Queen (also known as monarch). The human tendency of living in groups laid the foundation of a society where people interacted with each other. There are numerous opinions on the governing power of the society. This question of power and authority has always been important even during the ancient civilizations. Monarchy and anarchy defines two systems that are totally different in control structure from each other. 1. A state of disorder due to absence or non-recognition of authority or other controlling systems. 2. Absence of government and absolute freedom of the individual, regarded as a political ideal. It has been derived from Greek anarkhia, from anarkhos, from an- 'without' + arkhos 'chief, ruler'. The definition may be summed up by saying that is defines the state of people without any constituted authority. The term is used in many contexts and that can easily be seen by looking at the usage of term monarchy in various chapters of history. It is believed by the contemporary anthropologists that even in those times before the recorded history, there was existence of human societies that were not controlled by any established authority. Taoism of ancient China can be considered as the first clear expression of anarchy. The Taoists were living at a feudal society and laws were codified. The government was converting into centralized system. The Taoists rejected this form of government and favoured the concept of living in natural and spontaneous harmony meaning free from any kind of rule. According to Wikipedia, the first known political usage of the word anarchy appears in the play ‘Seven Against Thebes by Aeschylus’, dated at 467 BC. The Greek philosophers Plato and Aristotle used the term anarchy in a negative manner stating that democracy leads to anarchy and anarchy should be considered as a mob rule. The German philosopher Immanuel Kant defined "Anarchy" as a state of law and freedom but without any use of force. Today the circled-A is famous as a symbol for anarchy. The word as described in history has been sometimes used in positive context and sometime in negative context. The anarchy in positive reference establishes the freedom of people without a government of any kind. On the other hand, it also indicates the state of chaos and mismanagement in the absence of any governing authority. Oxford Dictionary defines monarchy as ‘a form of government with a monarch as the head. It has been derived from Greek word monarkhia meaning 'the rule of one'. In monarchy, one person is treated as the head of the state and holds the position till his or her death. Generally, monarchy follows hereditary principles. United Kingdom has a famous monarchy. The head is either referred as king or Queen and is given absolute authority. In this absolute monarchy, the monarch has full authority over government and people. 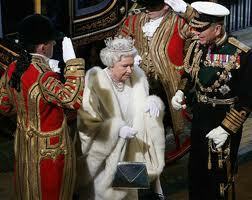 However a cabinet of advisers assist the monarch to make major decisions. Most of the monarchies today are limited or constitutional monarchies in which the powers of monarch are limited. As clear from the definitions, they both refer to totally different kind of systems. 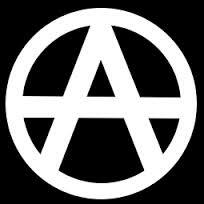 Anarchy is based on principles of absolute freedom where there should be no government or controlling authority. On the other hand, monarchy defines a system of government in which the head of the government is the monarch.